Brand new in tube. 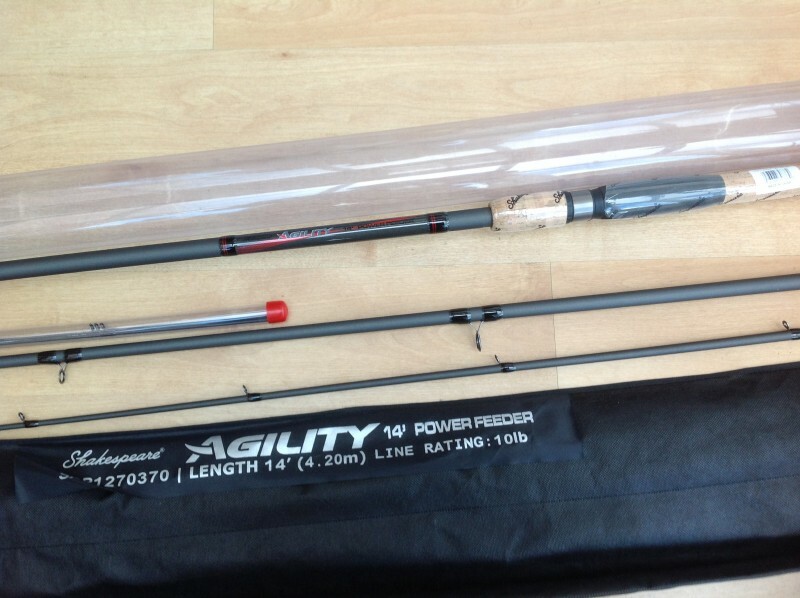 Shakespeare agility 14 ft power feeder.top quality carbon feeder with quality eyed guides. 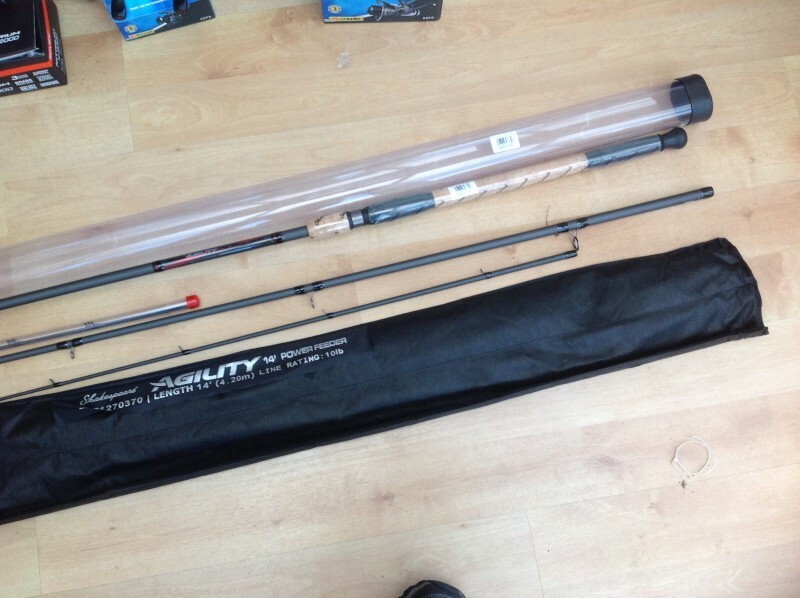 Three piece designed for long distance fishing for carp or bream.deals with lines up to 10 llb. 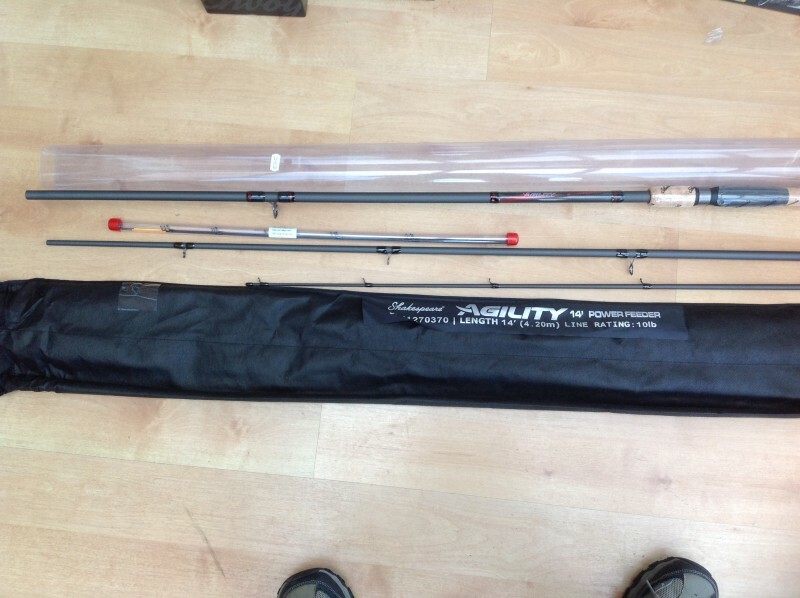 Three quivertips supplied, 2.3. And 4 oz. Pick up Cardiff area Cork handle with screw down reel seat.